Super Smash Bros. Ultmate has a lot of fighters, so you might want a little guidance for the roster. This guide is all about Donkey Kong in Super Smash Bros. Ultimate, DK's Moves, Specials, Costumes, and how he behaves in Super Smash Bros Ultimate. For more on the Super Smash Bros. Ultimate Character Roster, head over to our Super Smash Bros Ultimate Character Guides hub. You’ll find everything you need to know about what characters are set to arrive in the game, as well as an ever-growing list of in-depth guides on each one. Donkey Kong is back for Super Smash Bros Ultimate on Nintendo Switch and is bringing a brand new Final Smash attack with him. Let’s break down all of the differences we know about so far for Donkey Kong in Super Smash Bros Ultimate. We've detailed all of Donkey Kong's Special Moves in the table below. You'll find info on how to perform all of Donkey Kong's special moves and Final Smash. The most notable addition to Donkey Kong’s moveset in Super Smash Bros Ultimate is his new Final Smash attack. He will unleash a flurry of monkey fists at his enemy, doing some serious damage and launching them into the air on the final hit. This is said to be an homage to Donkey Kong Jungle Beat, with Kong beating his enemies like a drum. Other than the Final Smash move mentioned previously, Donkey Kong seems to play pretty much the same as he did in Super Smash Bros for Wii U. That means he still has his Hand Clap attack, Spinning Kong and Giant Punch moves. 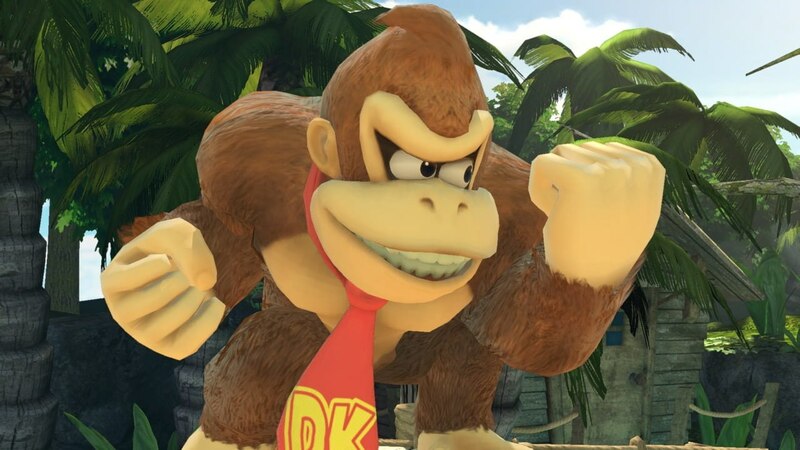 As with many of the characters in Super Smash Bros Ultimate, Donkey Kong has also received an update to his facial animations making him emote more clearly. In the trailer, which is embedded above, you can see Donkey Kong in his blue tie variant costume. 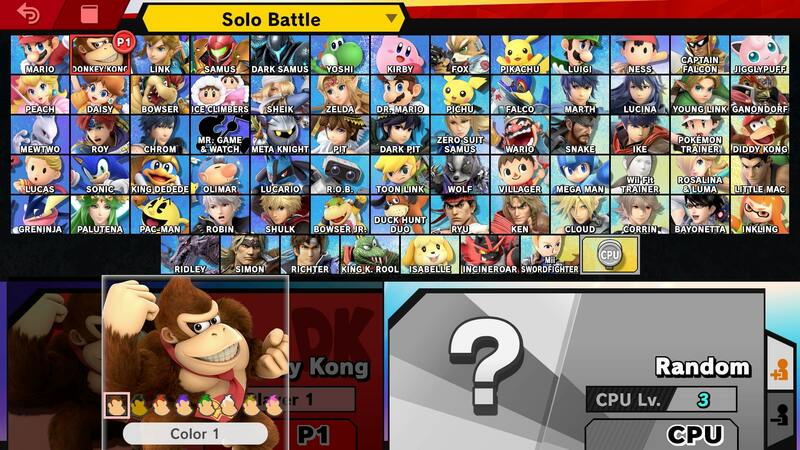 You can see all of Donkey Kong's alternative Super Smash Bros. Ultimate costumes in the character select screen. 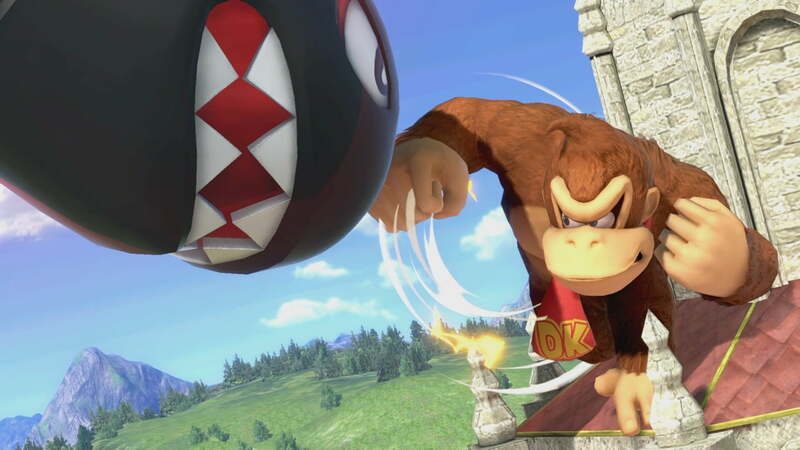 That’s everything we know so far about Donkey Kong in Super Smash Bros. Ultimate. We’ll be updating this guide with more info as we get it, so in the meantime, head over to our Super Smash Bros Ultimate main Guides hub. You’ll find a list of all the confirmed stages in Super Smash Bros. Ultimate, a full roster list and more.